We have launched ‘Ecology on Demand’, a new video platform designed to widen access to ecological research. Well, worry no more because we have launched Ecology on Demand. You can now watch key talks from our Annual Meeting in Birmingham on our new video platform – wherever you are in the world, whenever you want. A digital pass costs £9.99 and provides access to four plenary presentations and four thematic sessions. It includes the ability to view speaker slides and search for areas of interest. All plenaries are subtitled in English. The content is hosted by Panopto, a video content management platform used by many universities around the world. Hazel Norman, chief executive of the BES, said: “With 40% of our membership now based outside the UK we have a duty to widen access to the latest research to ecologists who cannot, or do not wish to attend our Annual Meeting in person. Ecology on Demand will help us realise that goal. In June 2018 we surveyed BES members based outside the UK and found that there was a real desire to learn about new developments in ecology in more accessible ways. The new video platform can reach ecologists who currently cannot easily engage with the work of the BES. We are making a small charge to help us cover part of the cost of filming and hosting the content. 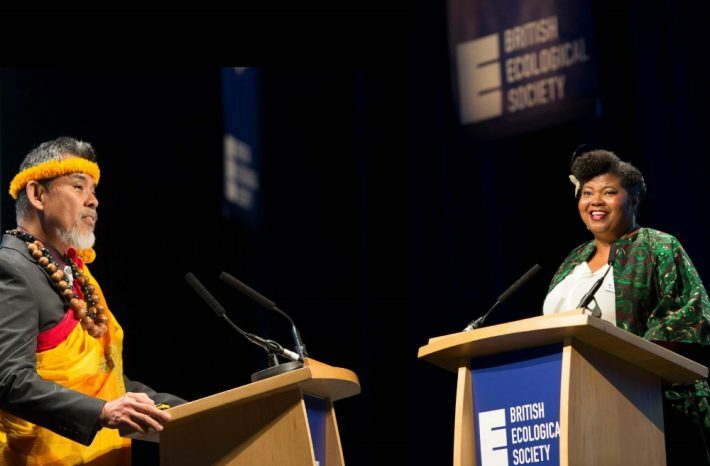 Nominate the ecologists you think should win a 2019 BES award for all they are achieving in science and society. A BES intern's experience in the chaotic, but hopeful, world of environmental policy.